Join Ned Kelly’s and Frets on a bus trip to Miller Park! The Brewers will be taking on the Rangers and it is a Grateful Dead Tribute night! $75 per person upon sign up! 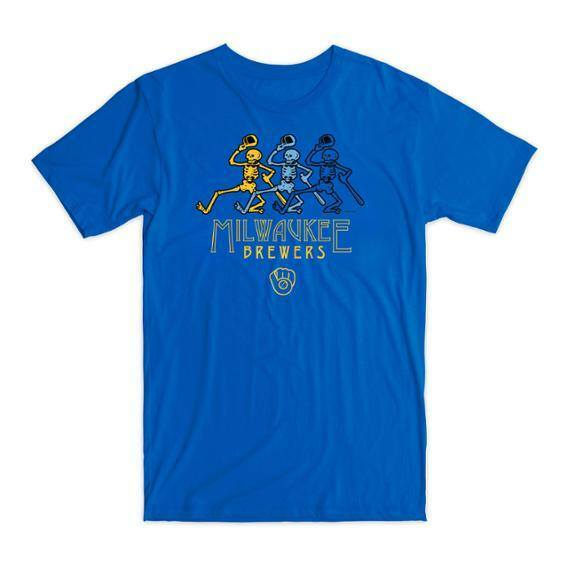 Includes Motor Coach transportation, Tailgate Party with Beer, Jameson & Food, Tickect to the Game, and a Limited Edition 2019 Grateful Dead Milwaukee Brewers T-Shirt! *Meet at Ned Kelly’s at 1pm on Saturday, Aug. 10th. Bus to leave around 1:30pm. Beer and Jameson will be provided on the bus! Sign up with a Bartender at Ned Kelly’s Pub (223 N. Washington St) and Frets & Friends (2105 University Ave)! Spots are limited to make sure to stop in and sign up today!